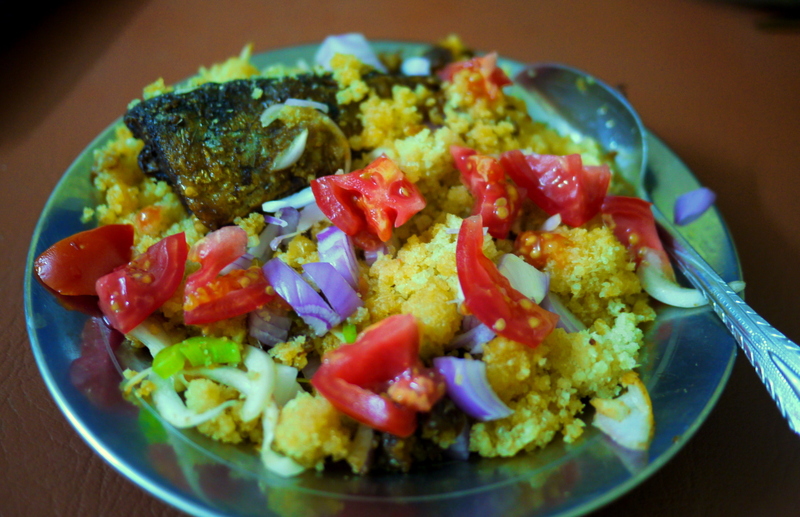 Showcasing Burkinabé cuisine one meal at a time – today, riz sauce. Riz sauce, or rice with sauce, is about exciting as it sounds. 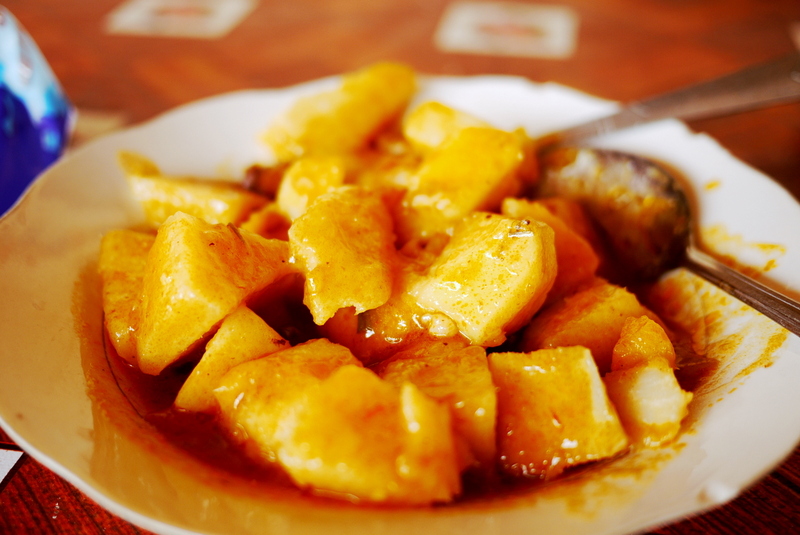 However, as with many things in Burkina, I’ve become used to the dish over time, and now actually like it, though lately find myself ordering it less and less. A restaurant will bring out the meal as a plate of white rice, and separately a small bowl of your chosen sauce – peanut or tomato. 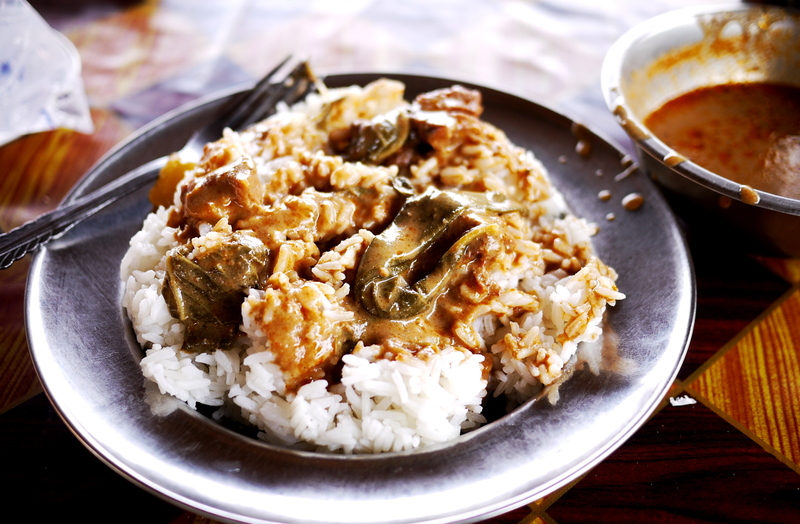 I usually prefer the peanut sauce (pictured above), though both include a few over boiled vegetables such as cabbage and onions to make things a bit more interesting, plus a lot of palm oil. Additionally, there are two or three small pieces of meat, usually goat or lamb (often with plenty of bones hiding in there). Cost: 500 CFA ($1.11). 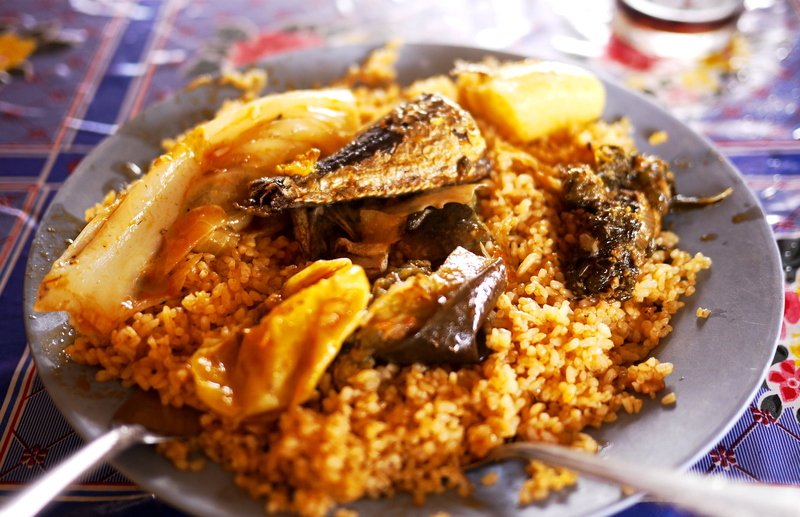 A new feature where I’ll be showcasing Burkinabé cuisine one meal at a time – today, riz gras. Riz gras, which translates literally to fat rice, is a rice dish with various infused flavors, most commonly including the standard Maggi cube, tomatoes, onion, garlic, and plenty of palm oil. However, if you go to the right restaurant, you can find upgraded versions of the dish that offer a good amount of toppings that make it a more of a true meal, rather than just flavored rice. I prefer the Senegalese joint in town where they include a number of vegetables, sauces, and even fish on top. My go-to lunch spot’s meal of choice. Cost: 500 CFA ($1.10).